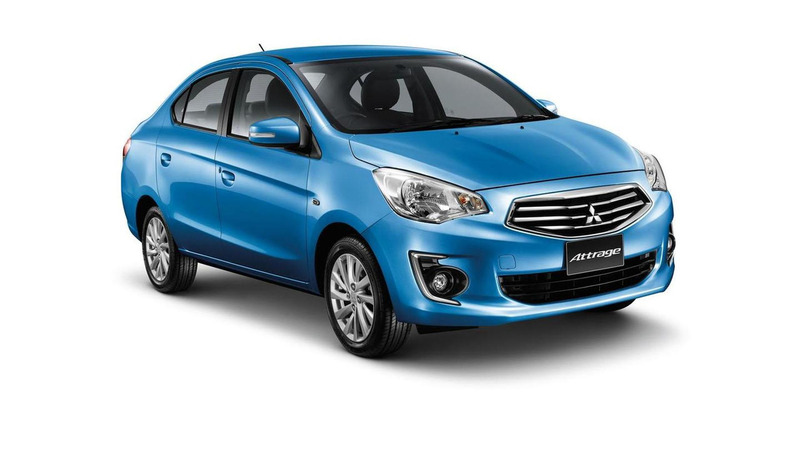 Mitsubishi has unveiled the 2014 Attrage, ahead of its launch in Thailand in July. Essentially a production version of the G4 concept, the Attrage is described as next-generation global compact sedan that will deliver "driving pleasure thanks to agility and pleasing driving dynamics." The Attrage will be powered by a 1.2-liter MIVEC engine that can be paired to a five-speed manual or a continuously variable transmission. This should enable the model to return approximately 22 km/liter (4.5 L/100km / 51.7 mpg US / 62.1 mpg UK).